First 3D printed space camera! 3D printing continues to take over space technology with a flash, as NASA start creating the world’s first 3D printed space cameras! NASA is already using 3d printing to make rocket engine parts, a space pizza maker and even physical photos from the Hubble Space Telescope. But by the end of September, one NASA engineer expects to complete the first space cameras made almost entirely out of 3D-printed stuff. “As far as I know, we are the first to attempt to build an entire instrument with 3D printing,” Jason Budinoff, an aerospace engineer at NASA’s Goddard Space Flight Center in Maryland, said in a statement. Both instruments are being built to demonstrate how 3D printing (also called “additive manufacturing”) can be used as a boon for space exploration. The new technique could cut down both the time and cost of traditional manufacturing. To build the 3D-printed instruments, first a computer-controlled laser melts down a pile of metal powder. It then fuses the melted metal into a specific configuration determined by a 3D computer design. The instruments are built and assembled layer by layer — like slices of bread from a loaf. The layered approach makes it possible to build in tiny internal features and grooves that are impossible to build using traditional manufacturing. But the instruments are not deep-space ready — at least not yet, according to Budinoff. In the future, 3D printers could reduce the overall cost of building space exploring instruments. 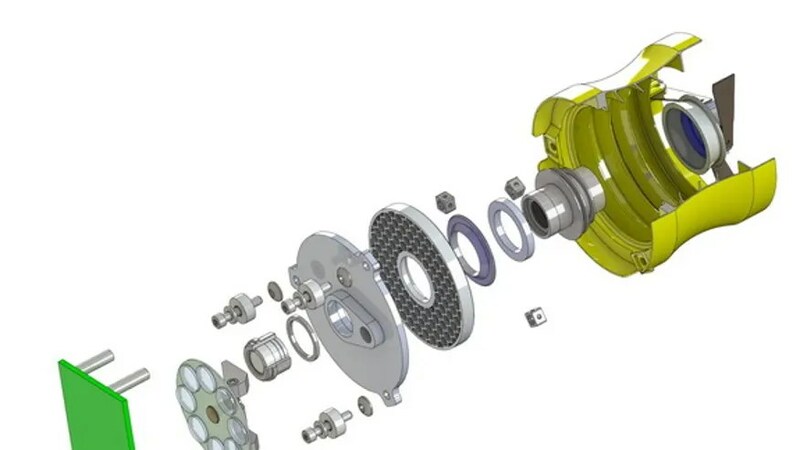 For example, Budinoff’s 3D printed camera only requires four separate pieces, whereas a conventional camera would require between five and 10 times the number of parts, according to Budinoff. Budinoff is also working on a way to build 3D-printed metal mirrors. Mirrors are crucial parts of telescopes, and it may be possible to create them with powdered aluminum. Aluminum is notoriously porous, which makes it difficult to polish. If Budinoff’s theory is correct, then a process called “hot isostatic pressing” could convert the aluminum into a gleaming mirror. The pressing technique involves taking a 3D printed aluminum mirror and placing it in a heated chamber under 15,000 pounds per square inch of pressure. The intense heat and pressure would lower the aluminum’s surface porosity and create a polished mirror. This kind of mirror could be especially useful for infrared instruments that must operate at extremely cold temperatures. Infrared sensors are usually made out of several different materials. But if all the parts were made out of aluminum, it would be easier to control the instrument’s temperature. Budinoff will likely finish both instruments this year, and they will undergo spaceflight testing in 2015.